Patch version 1.0.1.0 can be found here. 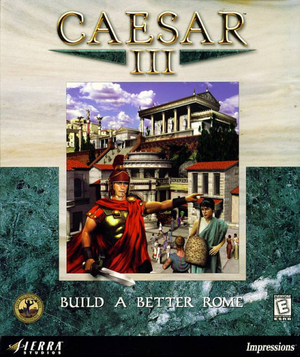 Julius is an open source re-implementation of Caesar III based on SDL2. It does not fix some of the issues presented in the game itself, but it brings in a 32 bit windowed mode support and a widescreen support. The saved games from the original game are compatible with this software. Use Caesar III HD+ or Julius. Will only work in 16 bit color mode. For 32 bit color mode, use Julius. 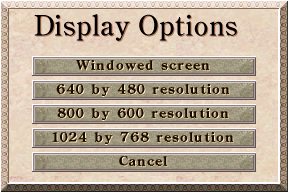 To play the game in Windowed mode, you have to run the game in 16-bit colour. For Windows 8 and newer, enable the following compatibility settings for the C3.exe file (located in <path-to-game>: Reduced color mode (16-bit color). Separate UK and US versions. Dubbing, Interface and subtitles without broken fonts. Right-click setup.exe and choose Properties. Go to the Compatibility tab and choose Windows 98 / Windows Me. The installer should now work correctly. Download latest version and unpack archive. Go to MS folder and copy ddraw.dll to your game directory. Steam Overlay should now work correctly. To remove dgVoodoo nag, you need to open dgVoodooCpl.exe and there untick dgVoodoo Watermark in DirectX tab. Download latest release version and unpack archive. Rename julius.exe to c3.exe and copy all files to your game directory. Steam Overlay will now work without any problems. 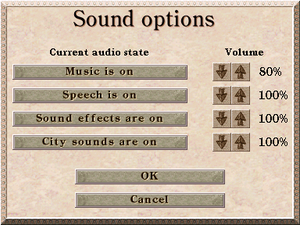 Julius also adds widescreen support, skips intro, fixes common problems and even removes DRM protection. ↑ 2.0 2.1 File/folder structure within this directory reflects the path(s) listed for Windows and/or Steam game data (use Wine regedit to access Windows registry paths). Games with Steam Cloud support may store data in ~/.steam/steam/userdata/<user-id>/517790/ in addition to or instead of this directory. The app ID (517790) may differ in some cases. Treat backslashes as forward slashes. See the glossary page for details. This page was last edited on 19 April 2019, at 04:51.